Highly palatable liquid to mix with feed. An essential food additive for fussy eaters and those that need instant energy. Below are some recent questions we've received regarding Gold Label Molasses for Horses, including answers from our team. This molasses is made from sugar cane. Does this molasses contain any sulpher? 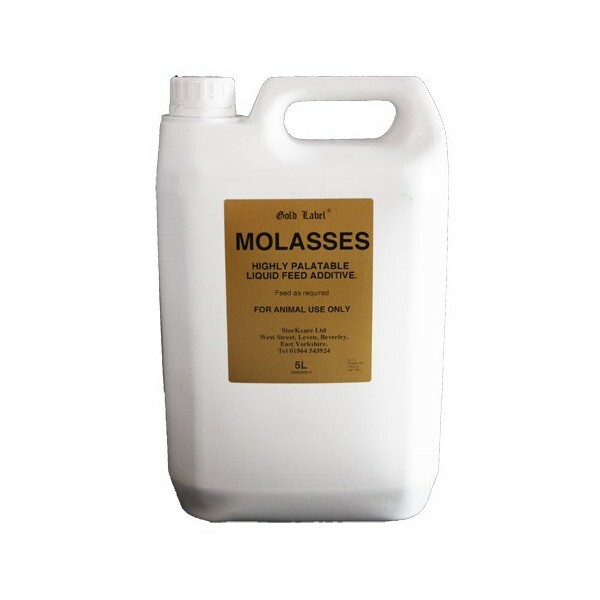 I am looking for Unsulphured molasses. I believe that unsulphured molasses is more expensive to produce, so tends to be found in the higher quality, human grade products bought from health food shops. As far as we know, the molasses normally sold for horses has all had sulphur dioxide used in its manufacture. This is generally regarded as safe, but one can certainly question to what degree that is true.